Last week, I took the boys to the pediatrician for a well check. The doctor came in and commented that it had been such a long time since she’d seen us. I told her we are generally pretty healthy, so we have no reason to come in, and as she was looking over the charts, she agreed. I don’t take for granted for one second that my boys are healthy. I have friends whose kids have struggled with health problems, large and small. Before I even got pregnant with our oldest, I started making big changes in our life. I started by dramatically reducing the amount of sugar we were eating. I slowly kicked the majority of processed foods out of our diets. 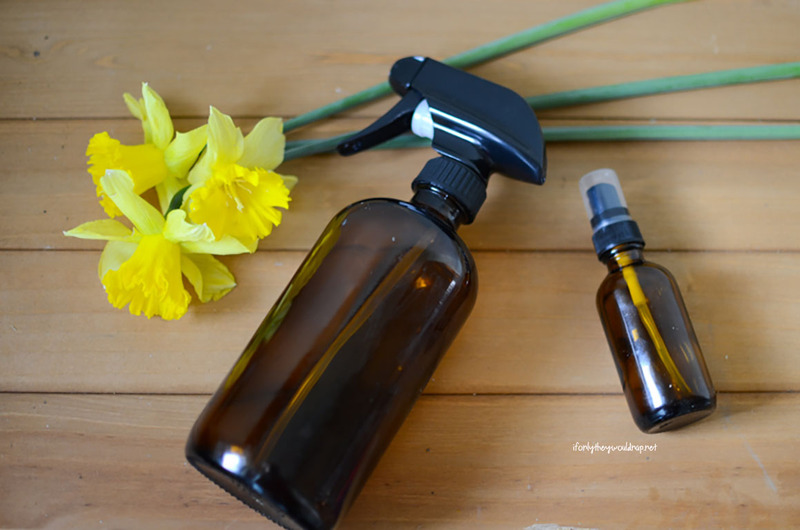 I began searching for natural alternatives to the products we use in our home: cleaners, soaps, shampoos, etc. The more I learned about the toxins that are in our everyday products, the less I could ignore it. Every single thing we’re putting into or onto our bodies, all the things we’re breathing in, they have an impact on our health and wellness. If I think back to what was inside our refrigerator and cupboards when we were first married, the difference is incredible. Not only that, but the difference in my own health is amazing. Before becoming pregnant, I was diagnosed with high cholesterol and Polycystic Ovarian Syndrome. Many women who have PCOS struggle with infertility their entire lives. We did struggle to get pregnant early on in our marriage, which was the catalyst for making many of these huge changes. 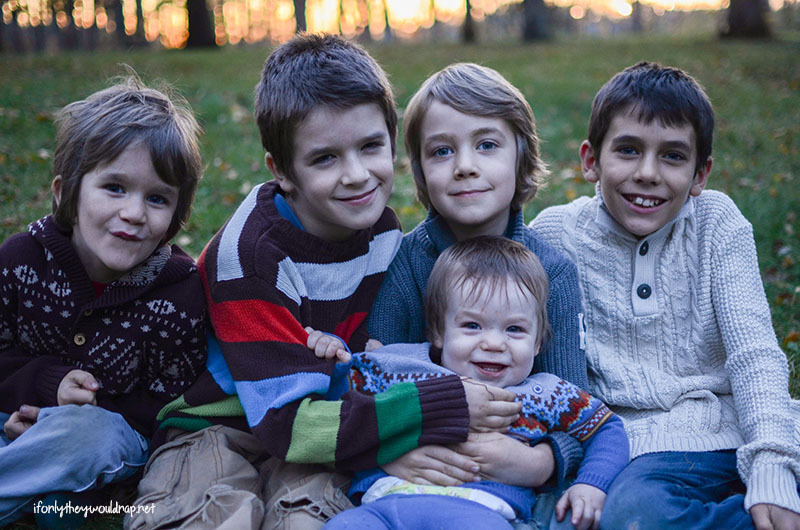 The Father blessed us so richly with our five boys (and one who we’ll meet someday in Heaven! ), and I want to give them their best life: for them know how loved they are by God, to teach them how to love generously, and to keep their bodies healthy and strong so that they can live out the purpose for which they were created! Preparing most meals from scratch, buying local and organic foods, and using non-toxic products in our home can sometimes be inconvenient.. it takes more time to make yogurt at home than it does to buy it at the store. I can’t run to Target and find non-toxic laundry detergent. Buying local and organic meats and produce costs more money, but if our bodies are healthier and we’re rarely visiting the doctor, it’s worth every penny. Ridding our home of toxic products, laden with chemicals that are unregulated and proven to cause countless health problems wasn’t an overnight task. I tried brand after brand, DIY recipe after DIY recipe. But the so-called “non-toxic” products you buy in the store still have ingredients that I wasn’t happy with, and the DIY recipes were okay, but time consuming. And how can you DIY things like foundation and lipstick?? 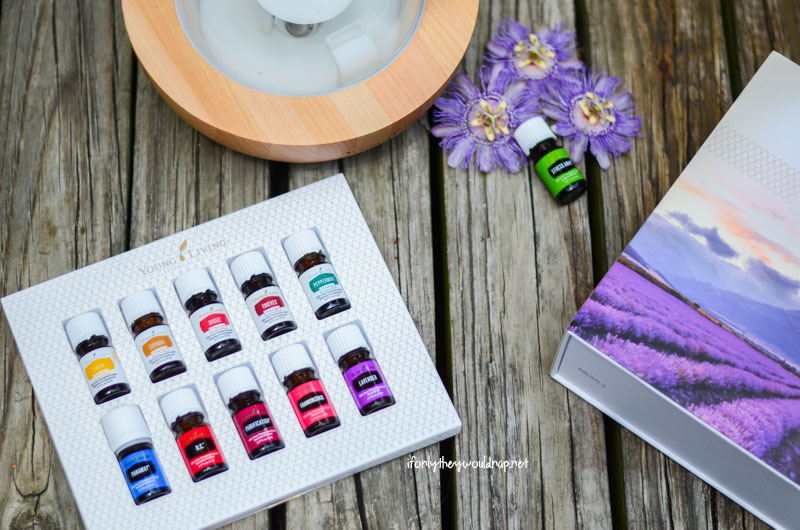 So I started my hunt for the perfect essential oil… I tried countless brands. I purchased from mom and pop shops, big name brands, and everything in between. I even bought many oils on Amazon (which I later found out was a BIG no-no… they can be easily tampered with and adulterated!). 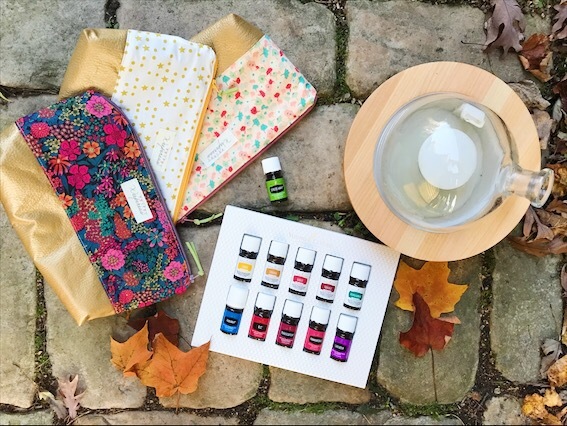 About two years ago, a friend introduced me to Young Living essential oils, and immediately I abandoned all other oils and became a member with Young Living. 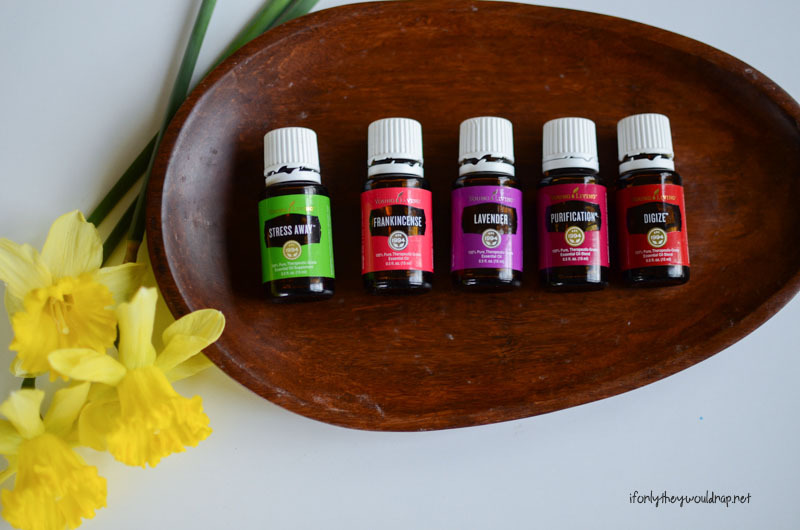 The purity and potency of Young Living essential oils – especially when compared to all the other oils I had tried and been using – blew me away. I could tell a difference as soon as I smelled and applied the oils. I researched Young Living as a company, and discovered that their growing practices are amazing, their standards are incredibly high, and their seed to seal guarantee means that their oils remain 100% pure, therapeutic grade oils. I got my Premium Starter Kit, became a wholesale member for life, joined Essential Rewards to earn points back on all my purchases, and never looked back. It’s been over two years since I made the decision to exclusively use Young Living essential oils. But Young Living is more than just oils. Nearly all of my frustrations for non-toxic products have found answers in Young Living. I know exactly what the ingredients are that we are putting on and in our bodies. Everything from toothpaste to household cleaners, supplements to makeup… it’s all free from toxins, fillers, and added junk! Keeping my family well and being proactive about our health is one of my highest priorities. What we eat, how we take care of our bodies, and what we have in our home has changed dramatically over the years, and it’s made me so passionate about sharing our wellness journey with others! Helping other people find natural solutions and non-toxic alternatives is something that’s incredibly important to me, because I want everyone I know to live in a place of freedom and wellness! I would love to help you and your family get started on a journey of wellness! I’m a giver at heart, and if I had the means to give oils away to everyone I meet, I would do it. But until I can do that, I want to offer you support in your journey: a community that will help you learn about essential oils, natural living, and removing toxins from your home. I also have a free gift for you!! I’m offering you your choice for a freebie with the purchase of a Premium Starter Kit! The first choice is an absolutely beautiful handmade essential oil pouch! My friend Beth at WeePereas makes the most amazing handmade items – I carry one of her oil pouches in my purse everyday! These oil pouches will hold all 11 of the oils that are in the Premium Starter Kit, plus there’s room for quite a bit more in there! But if you would prefer (or if you live internationally), you could get $20 cash back on your Premium Starter Kit purchase instead! By purchasing a starter kit, you will receive a wholesale discount of 24% on everything you buy from Young Living. There’s no required monthly fee, you never have to sell anything, and you’ll gain a community of friends who want to help you in your journey to wellness! After you purchase your Premium Starter Kit using my member number (3181679), fill out this form to receive your free gift! Grab Your Premium Starter Kit! If you’d like to get more info or ask more questions, feel free to email me at ifonlytheywouldnap at gmail dot com or join my Facebook group for members and non-members! I can’t wait to help you get started on your journey of wellness! Previous postFREE Raglan Cardigan Pattern and Cozy Layers for Fall!